Sometimes I just assume everyone listens to the same things I do. I feel like this YouTube stream of chill beats to relax/study to by ChilledCow is ubiquitous, but maybe not! I throw this on all the time when I need to relax/study. Lately I've been throwing on a similar playlist on Spotify by Chillhop Music: cozy chillhop beats. It's not just me! 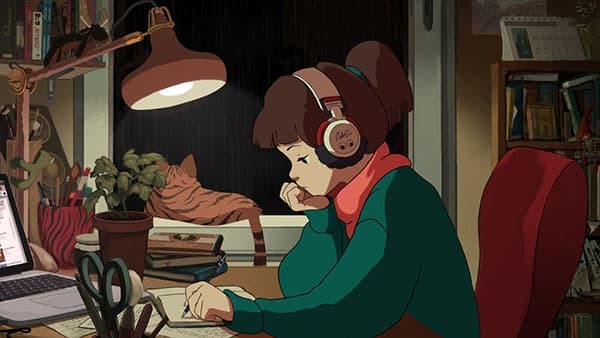 Apparently these lofi hip hop streams are a thing.